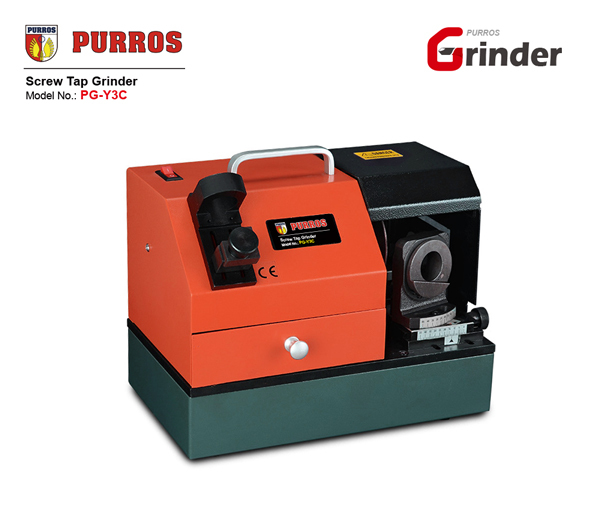 PURROS PG-Y5 High-Precision Screw Tap Grinding Machine, Grinding Ranges Dia. 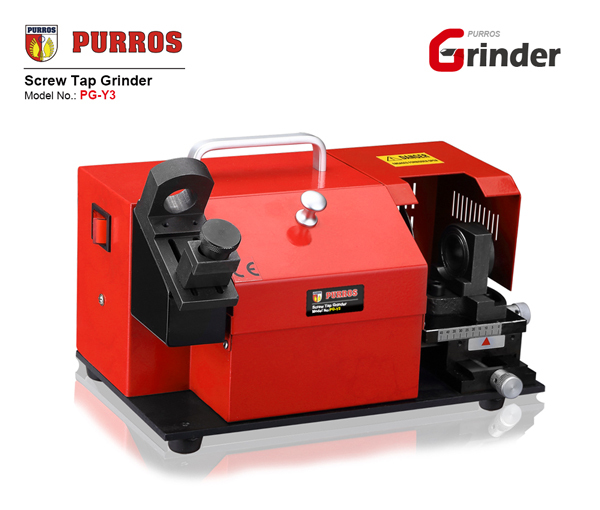 : M16-M42, Grinding Point Angle: 5°-30°, Power: AC220V/250W - Purros Machinery Co.,Ltd. 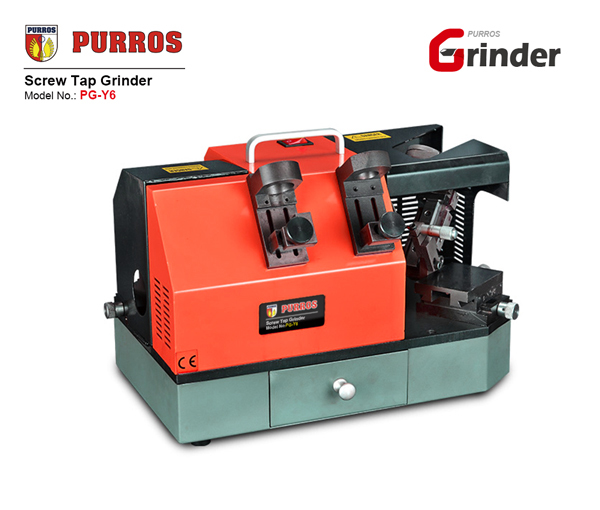 Purros supply high-precision screw tap grinding machines. One of the most attractive features of our screw tap machines are the flexibility in all terms like size of the machine, operation aspects, machining performance, device set-up in the workshop premises, and so on. 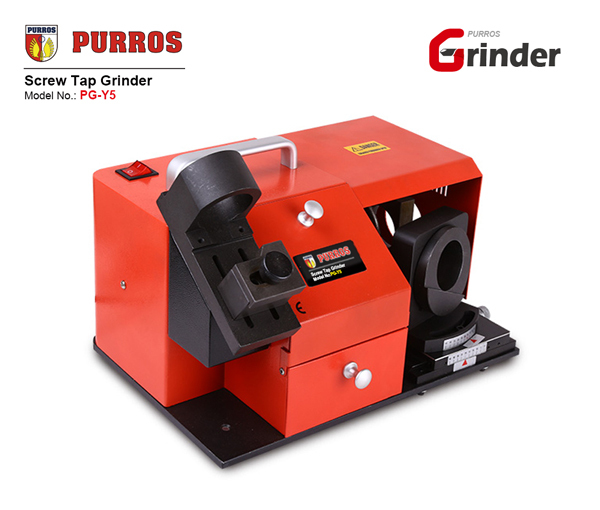 One of the most attractive features of our screw tap grinding machines are the flexibility in all terms like size of the machine, operation aspects, machining performance, device set-up in the workshop premises, and so on. 1. Specialize in grinding screw tap. It’s precise, easy operation and efficient, also can save large sum of expense for purchasing blade annually. 2. Send you Taiwan diamond wheel can be secondary reused, with accurate angle and long service life. 3. The electrical controlled high-rate DC motor features stable power, strong horsepower, efficient and long service life. 4. 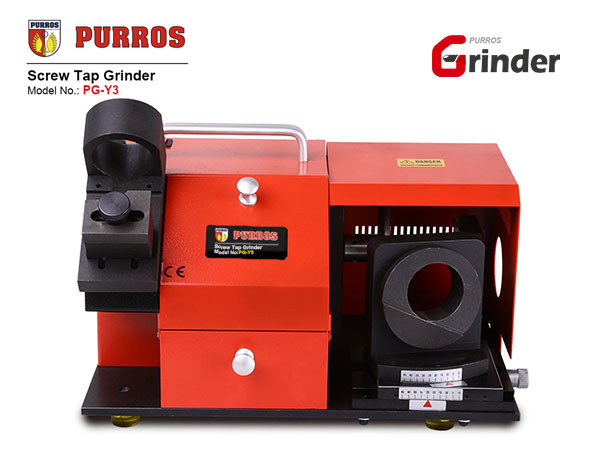 Portable screw tap grinder can grind 2-flute, 3-flute, 4-flute taps, Choosing can grind 5-flute. Great product. Does a great job sharpening bits! I got tired of using dull bits or paying for new ones so I decided to give this a try. Am I glad I did! I sharpened bits that I was going to throw away, it was quick and easy and they were like new. Highly recommend.